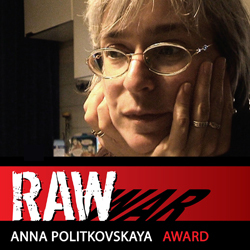 Today, Thursday 4th October 2018, RAW in WAR (Reach All Women in WAR) honours Svetlana Alexievich and her fearless journalism. 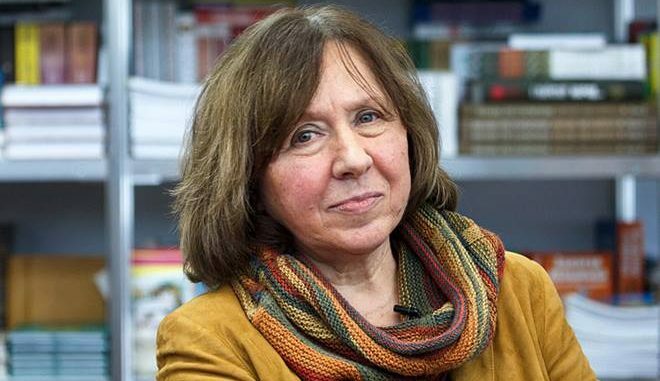 Svetlana Alexievich has been, for many years, bravely speaking out about injustices in the post-Soviet space and giving voice to those trapped in conflict, past and present. She has repeatedly criticised the Russian annexation of Crimea and the human rights violations in the conflict in Eastern Ukraine, as well as the growing nationalism and the oligarchy in Ukraine, which brought threats against her from both Russian and Ukrainian nationalists.